Spring cleaning isn’t just for your indoor haven, you’ll want to do a little work on your outdoor spaces, as well. With the pollen season finally winding down, it’s time to turn your attention to the areas outside your home in preparation for outdoor relaxation and entertaining. Follow the tips below then reward yourself by relaxing with friends and family in your rejuvenated outdoor spaces. Are you looking despairingly at the pollen clinging to every surface of your screened porch wondering what task to tackle first? It can be as simple as this checklist available at Real Simple. Refresh your patio surfaces with a gentle touch and the appropriate cleaners, and they’ll last for decades. Stay on top of weed and plant removal as the moisture they introduce into the environment can weaken these surfaces. Consult the HGTV website for steps for patio maintenance. If your outdoor space includes a deck, you likely know that proper maintenance will ensure your deck lasts as long as possible. See this article from HGTV for tips on the care and feeding of your wood deck. Are you hungry yet? 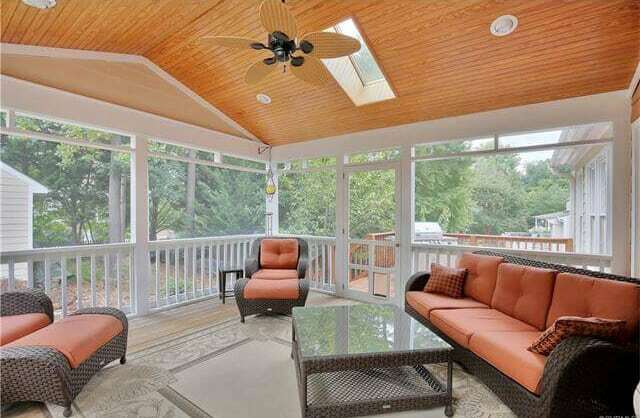 You’ll surely want to serve a meal or entertain guests on your refreshed patio, deck, or porch. Let’s make sure your grill is ready for business. The experts at realtor.com have you covered with this piece on prepping your grill for the season. Last but certainly not least, you’ll want to give your outdoor furniture a Spring spruce up, too. That pollen isn’t going to remove itself, and, you’re going to want a clean, spiffy place to land after completing all this work. The Martha Stewart website has tips for making sure your outdoor furniture is as ready for the warm months as you are. Now you’re ready to enjoy the fruits of your labor. Get out there and enjoy the fresh air. Check in next week when we discuss how to get rid of the carpenter bees buzzing around your home! Are you looking to upgrade your home and outdoor space? Give us a call at (804) 346-4411 or (804) 334-3038. or fill out the form below and we will follow up!